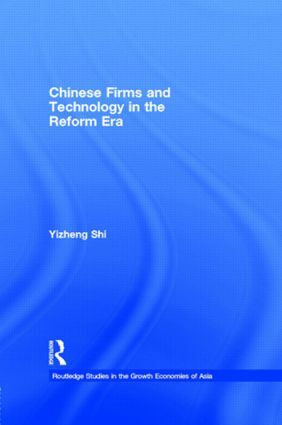 In Chinese Firms and Technology in the Reform Era, Yizheng Shi analyses the technological behaviour of state- owned firms. In particular he shows how they have imported, utilised and assimilated foreign technology into their operations. The author argues that despite being granted more autonomy and having to face increased competition, Chinese firms are still not motivated to assimilate properly imported technology because of the absence of well- delineated property rights.